With weddings, Wimbledon, and the World Cup, the month of July was a non stop party. 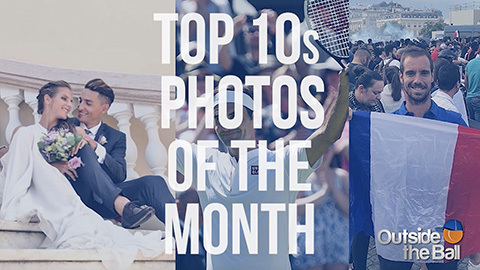 Our host Mayleen Ramey breaks down some of our favorite must-see moments with our Top10s: Photos of the Month. Everyone had World Cup fever including Richard Gasquet, who had a ball with France’s win, while Serena and Venus Williams scored a squad goal with a team family photo. Call the fashion police! 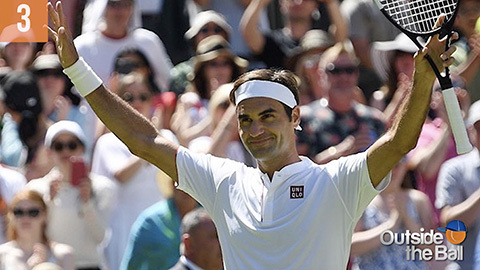 The world was buzzing over our number 3 pick as Roger Federer had cut ties with his long time sponsor, Nike, and signed with UNIQLO. We saw Mike Bryan and his brother from another mother, Jack Sock, win big and Angelique Kerber and Novak Djokovic danced their way to victory. But we weren’t left out of the action either. Mayleen had her own winning moment with the Wimbledon trophy when she met Trophyman. 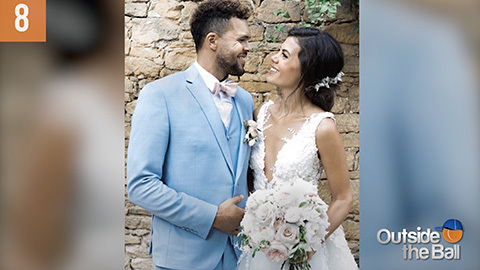 In wedding news, Karolina Pliskova and Jo Wilfried Tsonga walked down the aisle with their perfect match. Sloane Stephens slayed on the red carpet and took home an award at the ESPYS while Fabio Fognini pals around in our 10th spot as he spent time with a different kind of Swiss goat. Thank you for watching our playful look back at July. See you next month!